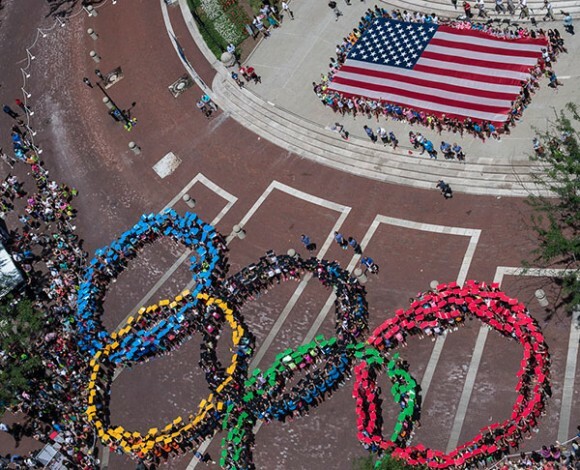 As part of the 2015 Olympic Day celebration in Indianapolis, USA Gymnastics and Indiana Sports Corp recognized the 11 companies that have become local partners for the 2015 P&G Gymnastics Championships, scheduled for Aug. 13-16 at Bankers Life Fieldhouse in Indianapolis, and shared plans for fan activities on Georgia Street and Circle City’s Taste of the Championships during competition week. USA Gymnastics also announced that Indy’s three Olympic gymnastics medalists Jaycie Phelps, team champion in 1996, and Samantha Peszek and Bridget Sloan, both team silver medalists in 2008, will be honored on Aug. 13, the first night of competition for women’s gymnastics. St.Vincent Sports Performance, the official healthcare provider for USA Gymnastics, is the local presenting partner for the 2015 P&G Championships, as the official medical and performance nutrition provider. The four premier level partners are: Deloitte, Vera Bradley, Kroger and OneAmerica Financial Partners. 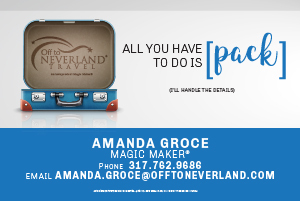 The other event partners are Bohlsen Group; Washington National Insurance Company, a subsidiary of CNO Financial Group; Hendricks Regional Health; Anthem Blue Cross Blue Shield; Crowe Horwath; and Faegre Baker Daniels. The partner packages vary by level but include event tickets, hospitality and signage. Event signage, which will begin to appear in downtown Indianapolis next month, will incorporate some Vera Bradley designs. Fans and Hoosiers can enjoy fan activities and fun on Georgia Street on all four competition days, Aug. 13-16. Dubbed the “Road to Rio” in recognition of the 2016 Olympic Games, the fun ranges from face painting, photo opportunities, live art, food, live Brazilian entertainment, and interactive activities for adults and kids alike. More detailed information will be announced in late July, but the Road to Rio schedule is: Aug. 13-14, 4:30-6:30 p.m.; Aug. 15, 3:30-6:30 p.m.; andAug. 16, 11:30 a.m.-12:30 p.m. Gymnastics and the P&G Championships will also be part of some of the regular Georgia Street activities Aug. 12-14. Restaurants in downtown Indianapolis will join in the excitement of the 2015 P&G Gymnastics Championships by participating in the Circle City’s Taste of the Championships, a discounted dining program for spectators and participants for the P&G Championships and the USA Gymnastics National Congress and Trade Show. ISC Discounted Dining Restaurant Partners that participate will offer discounts on a special menu with four meals that meet the St.Vincent Sports Performance nutritional recommendations. Phelps, who was a member of the Magnificent Seven who won the team gold medal at the 1996 Olympic Games in Atlanta, and 2008 Olympic team silver-medalists Peszek and Sloan will be honored on Aug. 13, when women’s gymnastics takes the stage. The Indianapolis Children’s Choir will perform as part of the Olympian celebration, including singing “Back Home Again in Indiana.” Thursday evening’s start time has been moved up to 7 p.m.
On Friday night, the 2015 induction class of the USA Gymnastics Hall of Fame will be recognized during the first night of men’s gymnastics, which also begins at 7 p.m.
For more information about the local partners, Road to Rio and celebration of Indiana’s Olympic gymnastics medalists, go to pgchamps.com. Scheduled for Aug. 13-16, the four-day the 2015 P&G Gymnastics Championships, which serves as USA Gymnastics’ national championships, will be held at Bankers Life Fieldhouse in Indianapolis, site of the 2005 championships. Single-session tickets are on sale now and range from $10-$105, with prices varying depending on session and seating area, along with several other ticket packages: women’s gymnastics day 1 includes both the junior and senior sessions on Aug. 13, $75-$125 per seat; men’s gymnastics package that includes every men’s junior and senior session, Aug. 14 and 16, $75-$125; women’s gymnastics final day includes both the junior and senior sessions on Aug. 15, $90-$140; senior men’s and women’s gymnastics final day sessions, Aug. 15-16, $85-$135; and all-session ticket package includes every competitive session, with prices running from $150-$495, and a limited number of Platinum VIP all-session tickets, located in the first five rows, are still available and include an autographed poster and a meet-and-greet with an Olympian. Tickets may be purchased at Ticketmaster through www.ticketmaster.com, Ticketmaster charge by phone 1-800-745-3000 or at participating Walmart locations in Central Indiana and Bankers Life Fieldhouse Box Office. Tickets are also available at a discounted price through participating local gymnastics clubs. Prices vary depending on seat location, and listed ticket prices do not include applicable fees. Sunday, Aug. 16 – men’s gymnastics, seniors at 1:30 p.m., and juniors at 7:30 p.m.
For more information on the 2015 P&G Gymnastics Championships, go to pgchamps.com. The P&G Gymnastics Championships, previously known as the Visa Championships, determine the U.S. champions and the U.S. national team for the junior and senior elite levels. The field will be determined closer to the competition. The nationals also traditionally serve as part of the selection process for the U.S. Team for the World Championships. This is the fourth time the prestigious event has been held in Indianapolis (1986, 1998, 2005, 2015). Simone Biles of Spring, Texas/World Champions Centre, and Sam Mikulak of Newport Coast, Calif./Team Hilton HHonors (University of Michigan), both won their second consecutive women’s and men’s U.S. all-around titles, respectively, at the 2014 P&G Championships. The roster of former U.S. all-around champions is a veritable who’s who of gymnastics, including: women – Nastia Liukin, Shawn Johnson, Carly Patterson, Courtney Kupets, Shannon Miller, Dominique Dawes, Kim Zmeskal and Mary Lou Retton; and men – Paul Hamm, Blaine Wilson, John Roethlisberger, Mitch Gaylord, Peter Vidmar and Bart Conner. The U.S. Gymnastics Championships traces its history back to 1897 for the men and 1931 for the women. The annual USA Gymnastics National Congress and Trade Show is a three-day event open to the entire gymnastics community. Held in conjunction with the P&G Championships, National Congress provides a unique opportunity for presentations, demonstrations and educational seminars on a variety of topics and a large exhibitor’s hall with additional business opportunities. The 2015 edition will be staged at the Indiana Convention Center. Indiana Sports Corp, Pacers Sports & Entertainment, the City of Indianapolis and the State of Indiana are the event’s local organizers. St. Vincent Sports Performance is the official medical and performance nutrition provider of USA Gymnastics and the 2015 P&G Gymnastics Championships. Indianapolis has served as the headquarters for USA Gymnastics since 1983.